Uniform Resource Identifier (URI) is one of the most important concepts of Semantic Web. 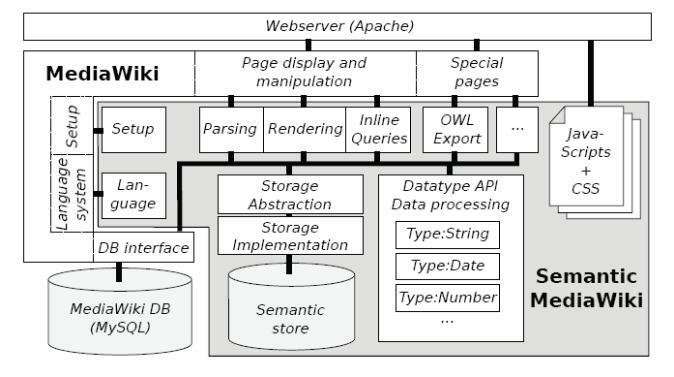 An introduction of knowledge representation technologies and inference to operate over Web resources identified and indirectly defined via Uniform Resource Identifiers (URIs) is one of the key features of the Semantic Web (as stated in ). A Uniform Resource Identifier (URI) is a string of characters that is about naming, identifying, addressing, and defining resources. What really matters here is what we can do with a URI . If we can dereference the URI it will indirectly give us authoritative information about a resource it identifies. On the other hand, the URI is also useful to others if it uniquely identifies the resource even if the resource is not completely described. This unique resource identification enables others to provide more information about the resource and it creates a network effect. Uniform Resource Names (URNs) which are persistent names that are address independent. A URL is a URI that identifies a network-homed resource and also specifies the means of acting upon or obtaining the representation, either through description of the primary access mechanism, or through network “location”. For example, the URL http://www.yahoo.com identifies a resource (Yahoo’s home page). It also implies that a representation of that resource (Yahoo home page’s current HTML code) is obtainable via HTTP from a network host named http://www.yahoo.com. A Uniform Resource Name (URN) is a URI that identifies a resource by name, in a particular namespace. A URN can be used to identify a resource without implying its location or how to access it. For example, the URN urn:isbn:0-112-99333-8 is a URI that specifies the unique reference within the International Standard Book Number (ISBN) identifier system. It references a book, but doesn’t suggest where and how to obtain an actual copy of the book. The URN defines a resource’s identity, while the URL provides a method for finding it. Today most of the informational sources about URI reference URI only. For example, URL now serves only as a reminder that the some URIs act as addresses because they have schemes that imply some kind of network accessibility. Originally Tim Berners Lee used the word “Universal” in naming the Universal Resource Identifier (URI). Later on, the publication of RFC 2396  in August 1998 changed the significance of the “U” in “URI” from “Universal” to “Uniform”. Unfortunately these two words are mixed in URI articles and papers today. To be consistent we will reference URI as Uniform Resource Identifier. To publish data, we first have to identify the items of interest in our domains. The items of interest are the things whose attributes (properties) and relationships we want to describe in the data. We refer to these items of interest as resources. Information resources are files located on the Web (Internet and/or Intranet) and they include documents, images, and other media files. Non-information resources are real-world resources that exist outside of the Web. The non-information resources can be classified into two groups: physical objects (i.e., people, books, buildings, etc.) and abstract concepts (i.e., color, height, weight, etc.). Each resource can be identified using a URI. We recommend that HTTP URIs are used only and to avoid other URI schemes such as URNs. Widely available mechanisms (DNS and web servers, respectively) exist to support the use of HTTP URIs to not only globally identify resources without centralized management but also retrieve representations of information resources. HTTP also provides substantial benefits, in terms of installed software base, scalability and, security, at low cost. Information resources can have representations. A representation is a stream of bytes in a certain format, such as HTML, JPEG, or RDF/XML. A single information resource can have many different representations (i.e., different content format, natural languages, etc.). Information Resources – A server that is used to manage URIs generates a new information resource representation and sends it back to the client using the HTTP response code 200 OK.
Non-Inofrmation Resources – They cannot be de-referenced directly. Instead of sending a representation of the resource, the server by using the HTTP response code 303 See Other sends the URI of an information resource which describes the non-information resource. With one more step, the client de-references this new URI and gets a representation that describes the original non-information resource. These two methods are described in . Hash URIs are better choice for small and stable sets of resources that evolve together. 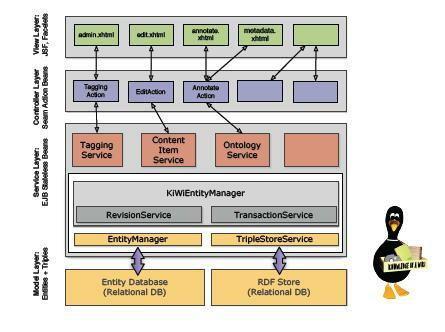 An ideal case are RDF Schema vocabularies and OWL ontologies. Their terms are used together and the number of terms usually does not grow much. Hash URIs without content negotiation can be implemented by simply uploading static RDF files to a Web server, without any special server configuration. This makes them popular for quick-and-dirty RDF publication. 303 URIs are used for large sets of data that may grow and when it becomes unpractical to serve all related resources in a single document. If in doubt, it’s better to use the more flexible 303 URI approach. HTTP-based URIs are mostly used as unambiguous names of non-information resources. At the same time, the same URI can be used as a document (information resource) locator. For example, if you use a URI to name a guitar, you can also provide a document, accessible via that URI (document locator), that describes (in a formal or in an informal way) the guitar the URI names. However, using the same URI for the name of a resource and for the location of a document describing the resource creates an ambiguity. To avoid this situation, the W3C Technical Architecture Group (W3C TAG) recommends that the URI naming the non-information resource should forward (using an HTTP 303 See other status code) to a related URI for retrieving the descriptive document (information resource) about the resource. What does this mean now? This means that for each non-information resource we need two URIs at least: one URI (Identifier URI) to name the resource and another URI (Document URI) for the location of its related descriptive document. Each resource should have a concept in an ontology that models a specific domain that resource belongs to. It means that we also need a URI (Concept URI) to name the concept that models the resource and another URI (Ontology URI) that names the domain ontology this concept belongs to. The Ontology URI should be directly derived from the Concept URI since the Concept URI should fully contain the Ontology URI it belongs to. All this belongs to a case when a concept is fully defined in the domain ontology. However, if a concept is referenced from another domain ontology, its Ontology URI should still belong to the current domain ontology but other semantic metadata details of the concept should be extracted from its original domain ontology when needed. There is also one more aspect of a document describing the resource. That aspect belongs to the document representations since each document can have one or more representations (e.g., Text, HTML, RDF, OWL, etc.). Each document representation needs its own URI. We call this URI type Document Representation URI. The different URI types are already explained above. The different context approach requires syntactic conventions for indicating the intended context in which the URI is referenced. Both approaches have their advantages and disadvantages. We recommend the use of the different URI types approach since it is emerging as a common approach that is also used in the Linked Data area. Pro: Name “shows” what a given URI identifies. Consistent meaning across languages. Con: It requires people to agree on which of these four things a URI should indicate. Pro: It does not require everyone to agree on which of these four things a URI should indicate. Con: Each Semantic Web language must have a language construct to clearly specify which of these four things is intended when a URI is written in that language.